REGION — Thousands of San Diego County residents joined the national chorus of voices protesting the Trump administration’s “zero tolerance” policy that led to the separation of more than 2,000 immigrant children from their parents at the U.S.-Mexico border. 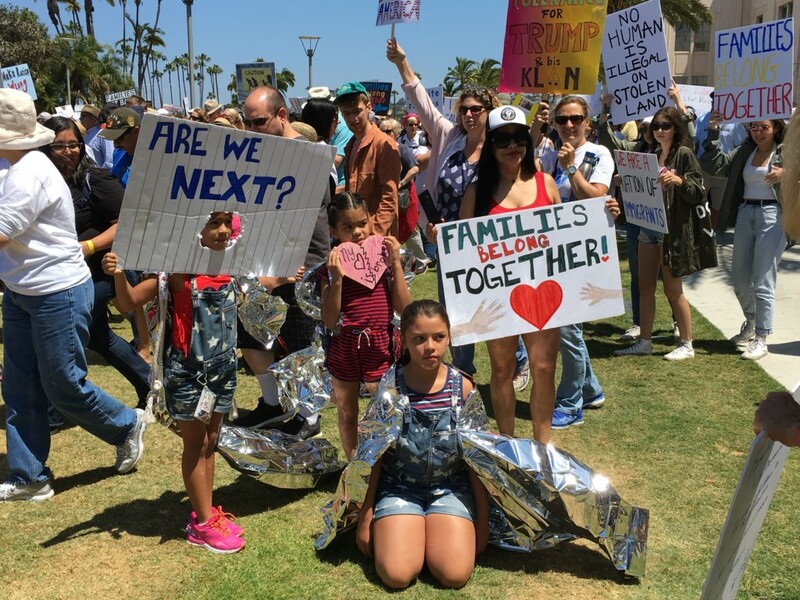 On Saturday, June 30, the county’s largest “Families Belong Together” demonstration took place at Waterfront Park in downtown San Diego, while smaller protests gathered in Carlsbad, El Cajon, National City and Ramona. Each of the 50 states hosted at least one event. 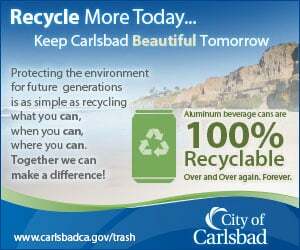 It’s estimated that more than 700 cities nationwide participated. 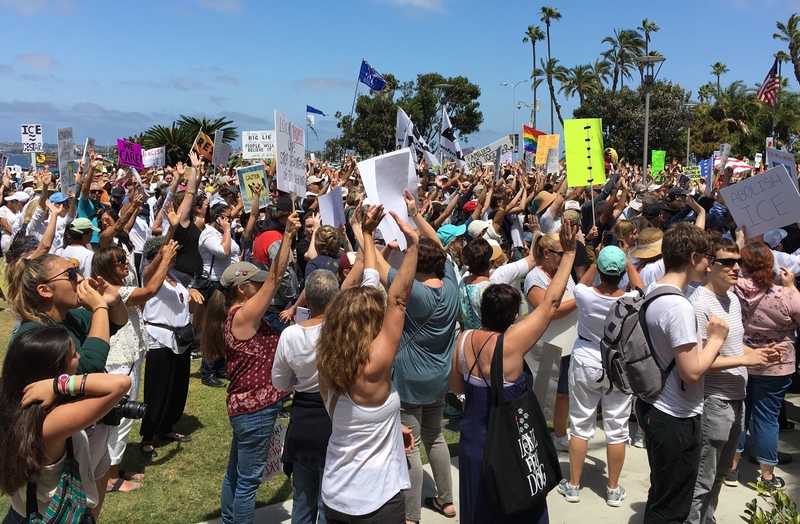 At the San Diego waterfront, several thousand protesters congregated in front of the County Administration Center for a rally, followed by a march down Harbor Drive and Pacific Highway. Other demonstrators wrapped themselves in silver space blankets resembling those handed out at the detention centers. As protestors walked down Harbor Drive past the tall ships in the bay, they chanted, “This is what democracy looks like” and “The people — united — will never be divided!” They waved to tourists and cars honking in appreciation. People stopped to take pictures with a man who stood on the sidewalk in a black-and-white-striped jail outfit and Donald Trump mask, holding a “Don the Con” sign. On June 20, President Donald Trump signed an executive order to end family separations at the U.S. border with Mexico, but that order did not clarify how the children who had already been separated would be reunited. The downtown San Diego march returned to the Beaux Arts/Spanish Revival-style county building at Waterfront Park where it started. Underneath the motto etched into the government building — “The noblest motive is the public good” — the sounds of drumbeats and people chanting carried on as children played in the fountains nearby.